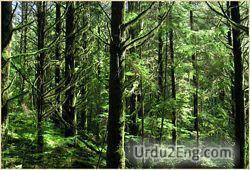 The trees and other plants in a large densely wooded area. 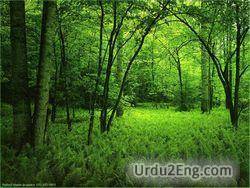 Establish a forest on previously unforested land. 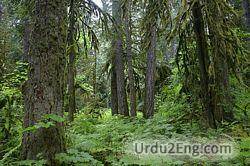 Land that is covered with trees and shrubs.